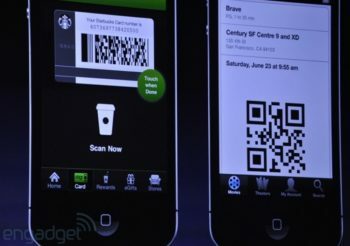 Starbucks tweeted they would implement Passbook integration by the end of September but they missed their deadline. Today’s Starbucks Canada iPhone app was updated for iOS 6 support, but lacked Passbook integration which was part of the US app’s update. Considering the Starbucks Canada app was crippled when it was first released without a payment solution (it didn’t arrive till last November), I’m not surprised Canadians are once again waiting to try out the latest Passbook integration. Also missing is iPhone 5 screen support. Canada is shut out from Passbook for now it seems, but probably not for long. Those with a US iTunes Account could download the US version and it would probably work here. Download Starbucks Canada here. Don’t forget to check out how Passbook works in Canada with Cineplex Mobile and Porter Airlines. @oumax99 @iPhoneinCanada It's coming, but we don't have the exact date yet. 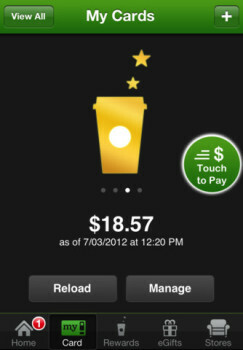 Update 2: Here’s our workaround to get Passbook in Canada to the Starbucks app.